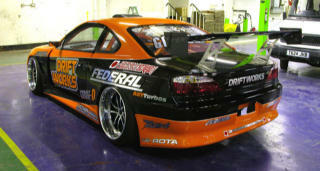 Phil Morrison's Japaneseusedcars.com sponsored EDC 2008 S15 Silvia running a 2JZ GTE 3.0 Supra engine making 590 H.P. 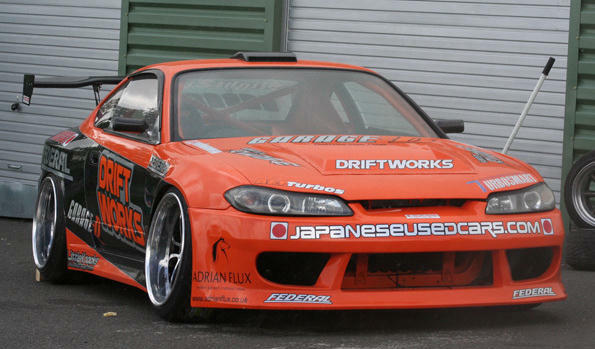 We are currently sponsoring Sean Falconer and Victor Chapman two top NZ drivers traveling to China to compete in the Toyo Tires Asia Pacific Drift Championship. 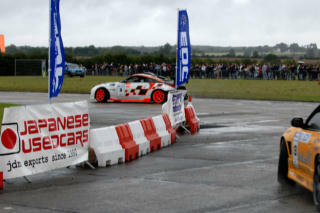 This is to be run in conjunction and prior to the Chinese round of the Formula 1 Grand Prix held in Shanghai on the 7th October 2007. 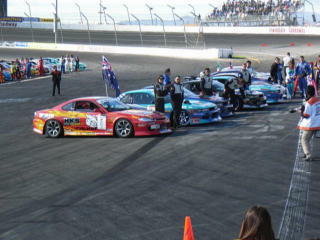 Top Japanese drivers Masato Kawabata, Sakuma Tatsuya, Suenaga Masao & Kuroi Atsuhsi, Malaysian drivers Narril Afifi Bin (Along) & Lim Zee King, New Zealand drivers Sean Falconer & Victor Chapman Sponsored by Japaneseusedcars.com as well as Nick Li & Johnny Udy along with drivers from Singapore & China who will battle it out to find the Asia Pacific Drift Champion. 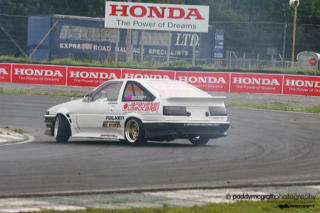 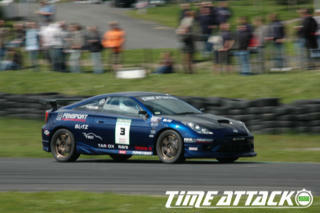 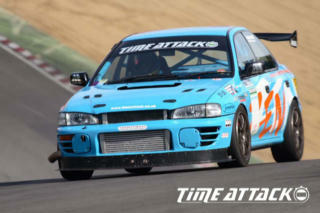 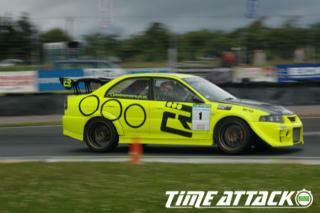 The four TimeAttack cars Japaneseusedcars.com are bringing over to Japan to run at Tsukuba below. 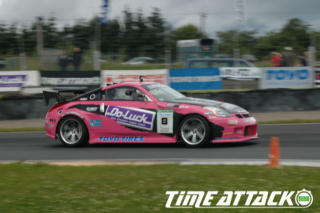 The team at Japaneseusedcars.com traveled to the UK recently to attend round 3 of the EDC and TimeAttack 2006 series at Knockhill Scotland in July and were very impressed with the high skill levels shown by the competing drivers and the professionally run EDC - TimeAttack event. 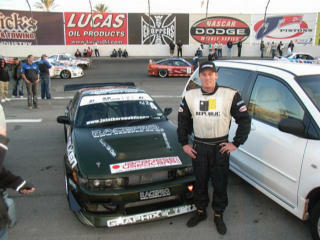 Our management team were warmly welcomed and many new friendships were formed as well as cementing further some old relationships. 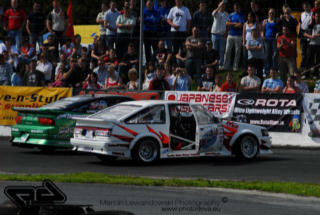 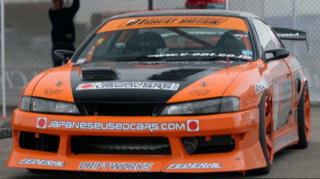 In November 2007 our Management team will be Traveling to NZ to attend the Japaneseusedcars.com D1NZ Final Round at Pukekohe Raceway where they will be able to renew some old relationships formed at Irwindale in 2006 and establish some new friendships. 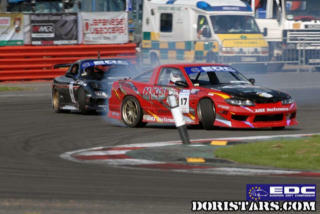 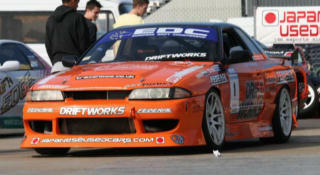 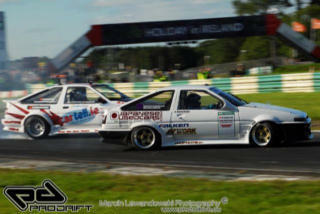 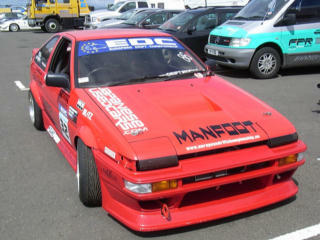 The team at Japaneseusedcars.com look forward to continuing our support of motor sport and related events and will bring you further reports and updates of our successful competitors, shows, series and events.